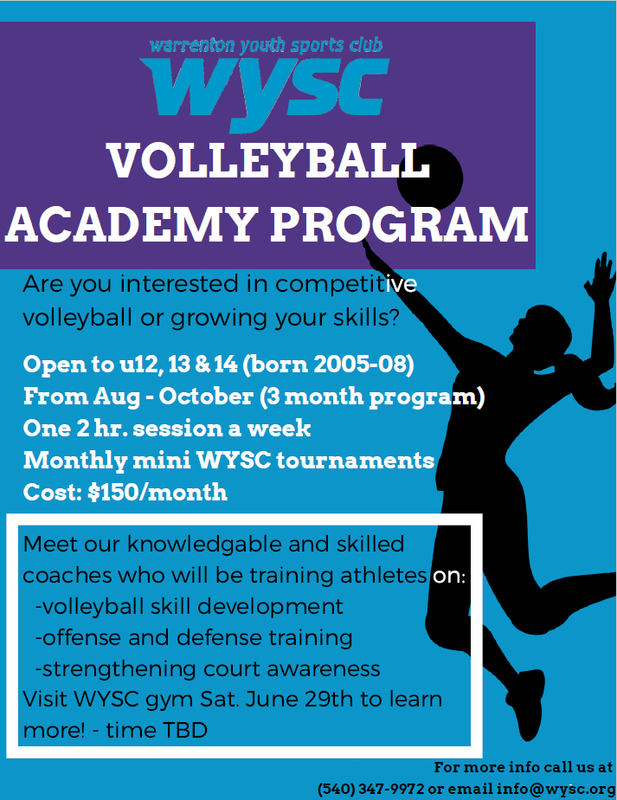 Program will be run by WYSC's staff volleyball travel team coaches. In addition to the weekly indoor practice, the development program will hold additional practices at WYSC's outdoor volleyball court at the Athey Complex. Program will be limited to 15 players per age division.